BAGUIO CITY, Philippines - Just a few days before Christmas, motorists in Baguio City were rewarded with packed food for wearing seat belts. 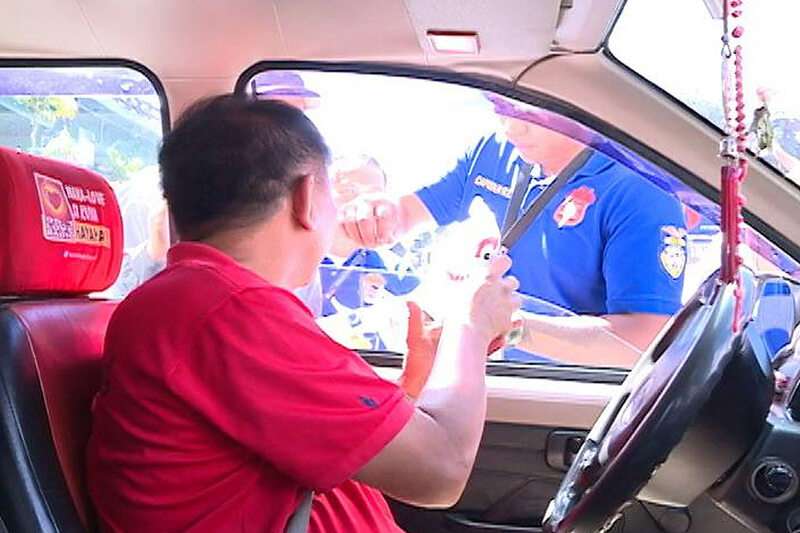 The Department of Transportation (DOTr) in Cordillera carried out a different approach and used positive reinforcement to remind motorists of the significance of wearing seat belts for the safety of drivers and passengers. DOTr Regional Director Atty. Jose Eduardo Natividad explained that they used a different method contrary to the usual apprehension of traffic offenders. Some motorists initially thought they were being apprehended by traffic enforcers. However, after learning that they were getting free meals for following the traffic rules, motorists praised the initiative. Republic Act 8750 or the Seat Belts Use Act of 1999 states that motorists and passengers who fail to buckle up will be fined P1,000 to P5,000. Under this law, infants and kids aged 6 years and below are prohibited to sit in the front seat of any running motor vehicle. How do seat belts save lives? Do you regularly strap in your seat belt when inside a vehicle? According to everydayhealth.com, seat belts provide drivers and passengers 5-way protection. 1. It keeps occupants of the vehicle inside and prevents them from being thrown from the vehicle. 2. It restrains the strongest parts of the body particularly the hips and shoulders. 3. It spreads out any force from collision preventing serious injuries. 4. It helps the body to slow down in a crash. 5. It protects your brain and spinal cord.